Our great grandson .... yes, I said great grandson ... will be turning 4 soon. He's such a little cutie and his folks, our granddaughter and her hubby, are quite the cowboy and cowgirl. Sky trains ranch horses and works on a cattle ranch and Christen is a competitive barrel racer and takes care of their small cattle herd. So Ryan has horses and ranch life in his blood. But he is having a shark themed birthday party (he has a thing for sharks) and I have already ordered his shark themed toys which he should have about a week before his birthday. 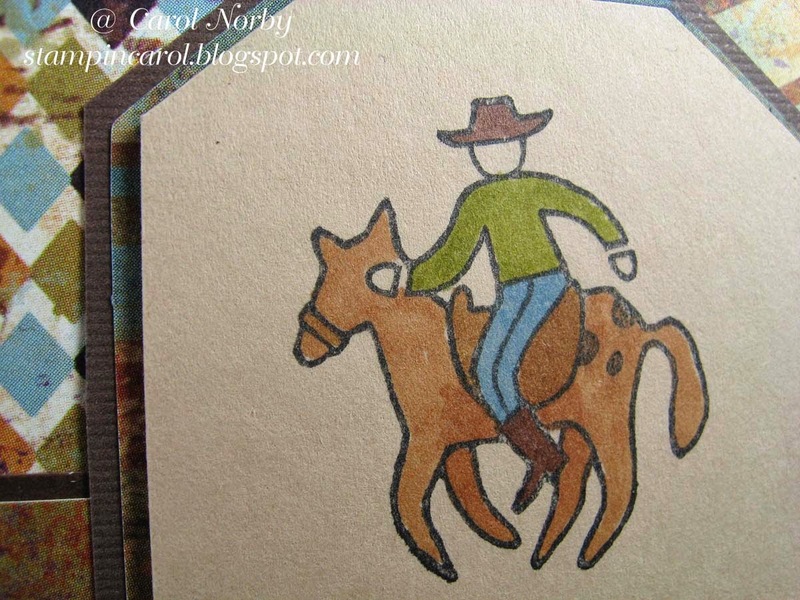 Unfortunately I don't have any shark image stamps but have oodles of cowboys. 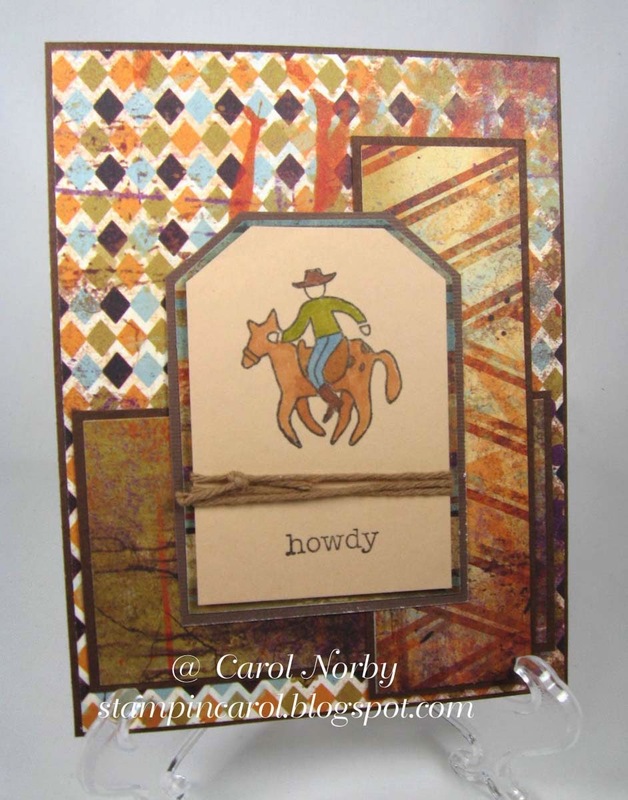 And as I recently seen a you-tube video of him playing with a rope I just had to make a cowboy card for him. The cowboy and howdy are from an old TAC set called "Howdy". I also used an old TAC paper collection called Winchester. There is no bling but I did use some solid twine from The Twinery and colored with Copics. A relatively simple and fast card. My last post I showed you this card that I was going to use for my shoebox project for the TAC angel reunion June 6 and 7. 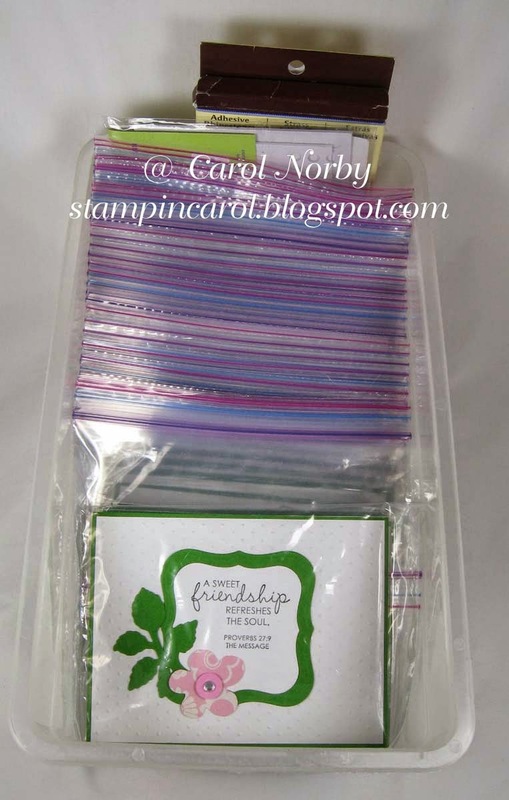 Here's my box of the sample card and 29 kits in my shoebox. In the back of the box are pop dots and rhinestones along with extra flowers and flower centers. I just need to remember a couple rolls of double-stick tape and a black ink pad. I'm so looking forward to seeing old friends that I haven't seen in at least 3 years. That cowboy card is nice. I think your grandson will love it.